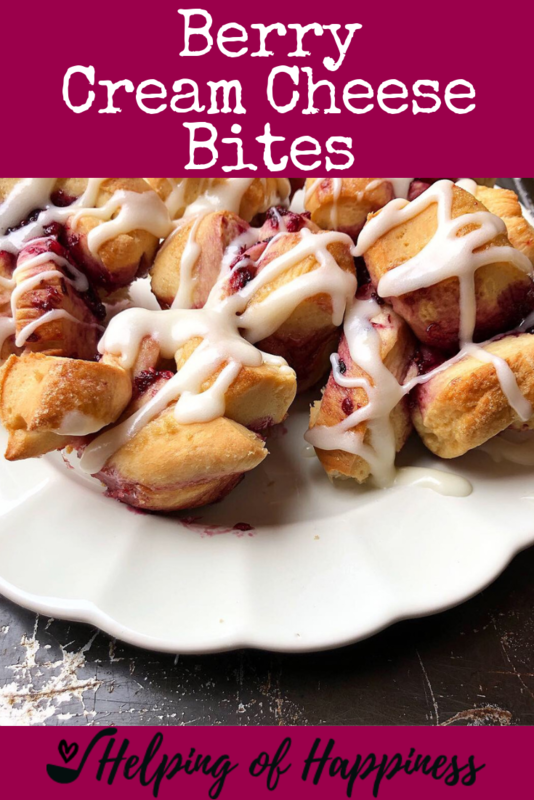 These are a fun alternative to our traditional cinnamon rolls. We make them in a similar way that we make our pizza bites. Instead of rolling them out like a cinnamon roll, we bake them in muffin tins. 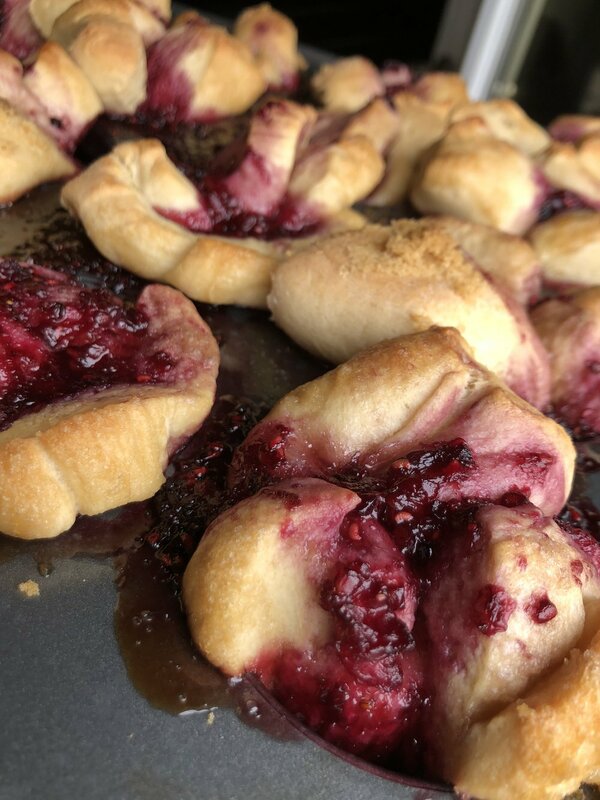 If you don’t have berries around, these would be delicious with cherries or mangoes as well. Served warm with a tall glass of milk, these babies can’t be beat! Whisk gelatin and water together. Combine all ingredients in a sauce pan and bring to a gentle boil until it has thickened and is bubbly. Mash the berries up with a potato masher, or pop them in your zyliss or food processor for about 30 seconds to puree. Cream ingredients together until smooth. Start out with some bread dough. I always use the same dough that I use to make my dinner rolls. The cinnamon rolls come out amazing. Next get your berry sauce and spoon in 1-2 TBSP of sauce over each cup of strips. Preheat oven and bake at 375 for 15-20 minutes. My oven bakes these perfect at 17 minutes. Once they are out of the oven, cool for just a few minutes then drizzle with your cream cheese sauce. Sprinkle with lemon zest. Voila! Eat up- and you may want a tall glass of milk to go with it! !